With sedation, treatments that would require multiple appointments can often be completed in a single appointment. This means fewer interruptions to your daily life. At Robinson Dentistry, we offer different levels of sedation depending on your needs and preferences, we will go over them with you thoroughly before your appointment. 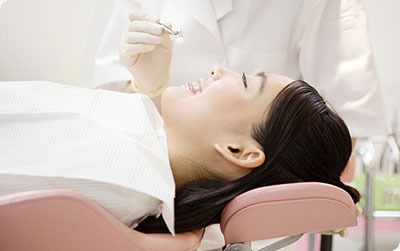 If you have anxiety about coming to the dentist, we might recommend a type of minimal sedation called nitrous oxide. The laughing gas is inhaled through a mask that’s placed over your nose and it tends to wear off quickly. You will be able to drive yourself home. Depending on the total dose given, oral sedation can range from minimal to moderate. For minimal sedation, you take a pill about an hour before the procedure. This is the type of anesthesia most commonly associated with sedation dentistry. You will need to have someone drive you home from your procedure. Also known as “conscious sedation” or “twilight sleep”, patients think they are asleep and have little or no memory of the procedure but can respond to the dentist when necessary. It is safe and very effective in the management of moderate to severe levels of anxiety in the dental patient. If you feel that you may be a candidate for IV sedation, we can discuss this option with you further at your first dental visit.